If you have 100 grams of dried Salvia divinorum leaf, you can make four to five ounces of strong tincture. 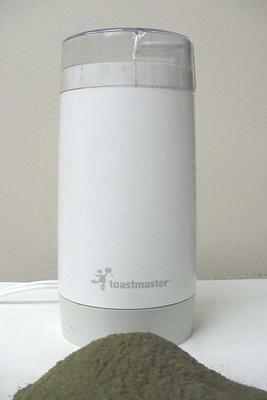 The leaf can be powdered in a small electric coffee grinder. It is very important that the leaf be finely powdered to a flour-like consistency. If the leaf is not powdered finely enough, this quick extraction method using 99% Isopropanol won't be efficient enough. After the Salvia leaf is finely powdered, take all of the powder and put it in a jar that can be sealed, pour in 99% Isopropanol, put the lid on it, shake for at least five minutes, and wait for the particles of leaf to settle. After all of the leaf has settled to the bottom of your jar, pour the Isopropanol out (saving it) and pour more Isopropanol in. Do the shake, settle and Isopropanol pour-off with the same material three more times, for a total of four times. 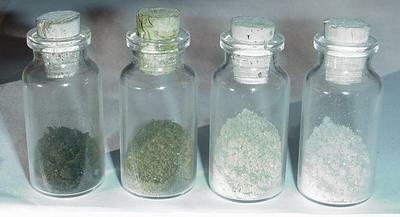 Then wash the powdered leaf through at least twice more with fresh solvent to wash out as much of the old Salvinorin-containing solvent as possible. After you're done collecting all of the Isopropanol from the extractions, combine it together in one bowl or shallow container and let it sit overnight. Although you may not be able to see them, there will be lots of fine particles floating in the alcohol. 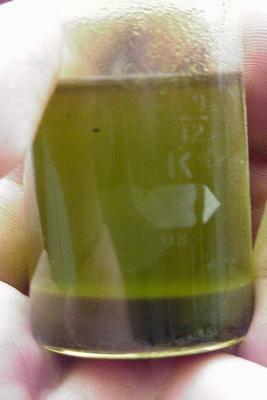 These particles are tannin and other fine sediments from the leaf and are so fine that it can take up to sixteen hours for all of them to settle out of the fluid. Some people like to water wash their leaf to remove the bulk of the tannin prior to extracting with alcohol. I do not recommend water washing your leaf because although Salvinorin is not water soluble, tests had been made by a professional chemist who determined that water washes can take as much as a third of the Salvinorin out of leaf, that there is something in the leaf that allows the Salvinorin to be washed out even though it is otherwise insoluble in water. When your done removing all of your leaf particles from all of the Isopropanol collected into one container, the next step is to wait for the ultra fine tannin sediments to settle out of the fluid. 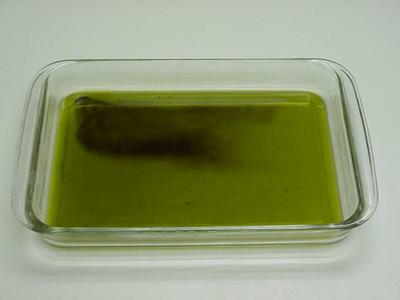 Place the bowl of green Isopropanol in a dark place out of the light for at least eight hours so that the bulk of the sediments will settle to the bottom of the bowl. You might not think these fine sediments are in there, but you will see what I mean after a few hours when it begins collecting in the bottom of the container. 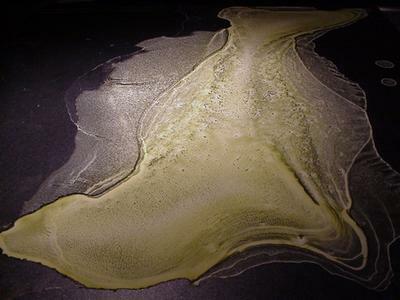 It is important that you put the green Isopropanol extract in the dark while waiting because light can interact with Salvinorin while in alcohol and destroy a portion of your yield. After you have given enough time for the bulk of the tannin sediments to settle, slowly pour the liquid into another container, leaving all of the sediment that has fallen to the bottom of the first container behind. Now let the second container sit for another eight hours in the dark to see if more sediment falls out. After it settles, slowly pour the green Isopropanol off again, being careful to leave the brown or green colored powder in the bottom behind. Letting the sediment fall out for eight hours overnight removes most of the sediment and tannins that will fall out of the alcohol, but letting it sit for a full 16 hours will assure that all of the sediment has fallen out. Removing the sediment in two or three steps will make it easier because even with being careful, I have found that some of it will pour over with the solvent each time you try to separate it. Using this method there is no need to do special filtering. I have tried both paper and cloth filtering of solvent after extractions and the fine particles always seem to get through the filter. The best way to remove the fine sediment is just to let it settle out. Using paper coffee filters or cotton cloth to remove the sediment has a potential for removing Salvinorin, too, especially when using cloth since it will soak up a portion of the Salvinorin-containing solvent. 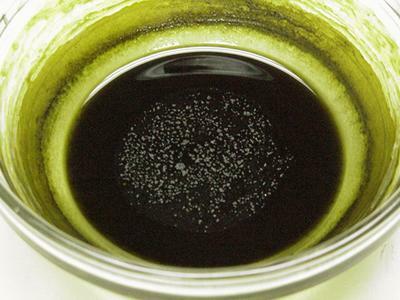 Once done removing most of the nasty-tasting sediments, you can now evaporate ALL of the Isopropanol, scrape up the black-looking waxy extract, and completely dissolve it in high-proof drinking alcohol. Some 190 proof Everclear is perfect for this, but I have also used 151 proof Everclear. If you have extracted from 100 grams of average potency dried leaf, you should be able to make at least 4 ounces of high potency tincture from the extract, and up to 6+ ounces if your leaf has a higher Salvinorin content than average leaf, depending how good your leaf is. Salvia divinorum leaf Salvinorin content can vary from about 2 to 4 mg per dried gram, although 4 mg per gram is unusually high. I consider leaf with a content of 2 to 2.5 mg per gram of dried leaf to be average. Once all of the extraction solvent has been completely evaporated, it can be scraped up and reconstituted with drinking alcohol to make a very dark and perhaps harsh tasting tincture, but it will be very effective. 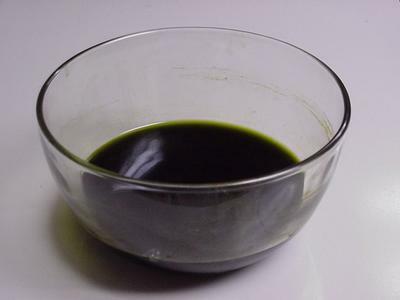 If you want to make a better tasting tincture you can remove most of the black wax using Naphtha. 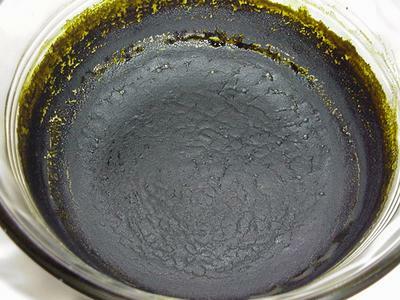 If you're going to take this extra step, you can just pour some clean Naphtha into the extraction dish, scrape up all of the extract, and place it all (Naphtha and all) into a narrow glass container. 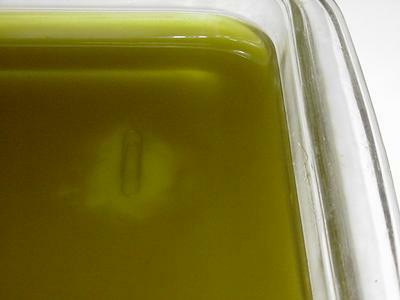 What you will be doing is washing out most of the wax from the extract with the Naphtha, which Salvinorin isn't soluble in. After the particles have settled for a half hour or more remove the Naphtha, leaving the crude extract that has settled in the bottom behind, pour in more fresh Naphtha, and wait another half hour or more before pouring it off again. 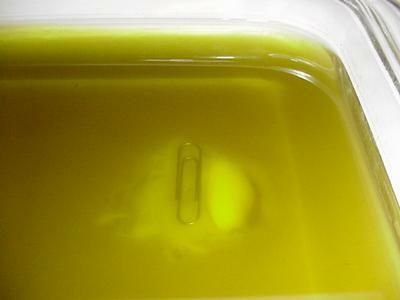 After a few washes like this the crude extract in the bottom of the container will become lighter and lighter colored. 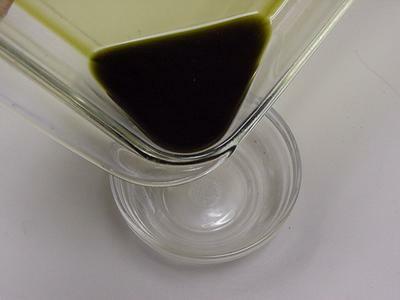 Once the extract is no longer a dark black color and lightens to a pine needle green you can stop washing with Naphtha and dry the crude extract. 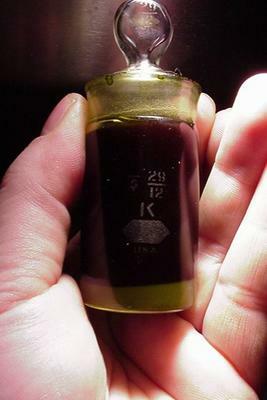 The dry extract should have enough of the wax removed so that it is a dark green. The texture of the dried extract should be a dry grainy substance that can be crushed with a spoon. Don't be concerned if it has a thin crust of dark black on top when dried, as this is normal. You will have a small thin upper crust of black on top, but this layer should be so thin that it is about the thickness of a piece of photocopy paper when completely dry. 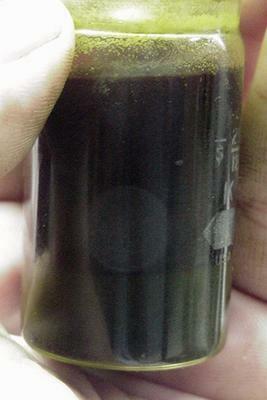 When crushing the extract, this top layer should thoroughly mix in with the dark green Salvinorin to such extent that you no longer see any black in the powder at all, just a dark green powder. After the extract is completely dry and with absolutely no hint or smell of Naphtha remaining, you can reconstitute with drinking alcohol. 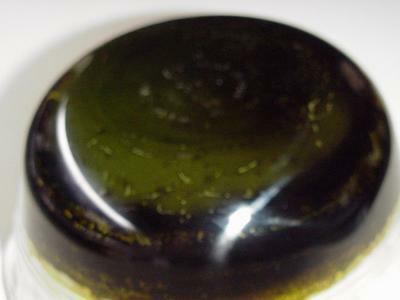 I have found that this step will produce a tincture that is extemely high quality and every bit as good as the best that is available on the commercial market, perhaps even more potent. It is potent enough to reconstitute the extract into 151 proof Everclear and still make a very effective tincture, although reconstituting with 98 percent drinking alcohol would be even better. If you have extracted from 100g of leaf that contains about 2.5+ mg of Salvinorin per gram of leaf, you should be able to make at least five ounces of strong tincture that contains close to 1.5 mg of Salvinorin per ml of alcohol. This is higher than most commercial tinctures. 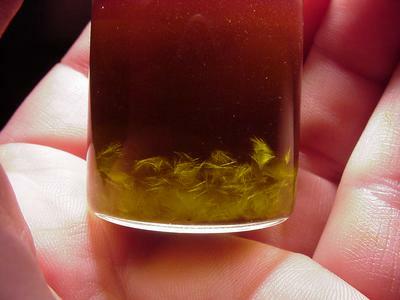 If at all possible use 190 proof alcohol to dissolve the dark colored waxy extract because higher proof alcohol will make it tincture more effective. 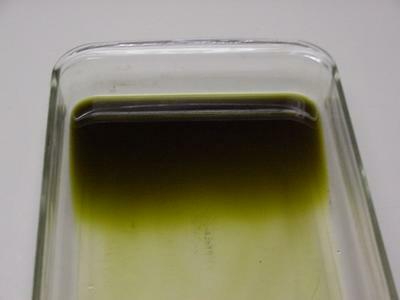 Also, the dark chlorophylls from the extraction will make the tincture far more effective than without it, because the wax both increases the amount of Salvinorin that alcohol can hold and also increases sublingual absorption of Salvinorin. Salvia divinorum tincture does not need as much of the chlorophylls or black wax that will be in it when having used this gross extraction method to be effective. Tincture made this way will have a stronger taste than the kind you might buy from most vendors, but your tincture will be very potent and should work very well. 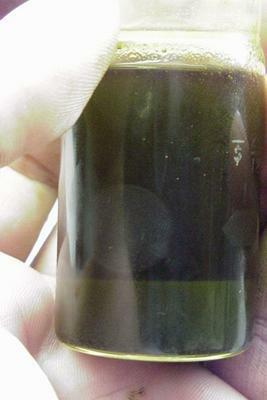 alcohol tincture cannot hold very much Salvinorin, only about 1.5 or so mg per ml of fluid when at room temperature. It could be a couple tenths more mg per ml, so don't hold me to that figure. 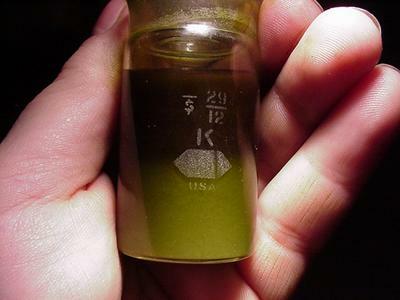 People who make Salvia divinorum tinctures don't want the Salvinorin to crystalize out of the fluid so they don't load it up to the maximum it can hold because a temperature drop of just 20 degrees could cause some of the Salvinorin to fall out as a solid. For Salvia tincture you need to use as high proof alcohol as possible and you don't want to use pure Salvinorin with alcohol alone because the compounds in the green chlorophylls from Salvia leaf aid sublingual absorption. 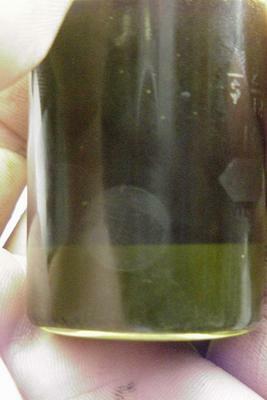 The dark chlorophyll compounds in the alcohol tincture will allow high proof alcohol to hold more Salvinorin per ml of fluid, but this effect is more predominent with alcohol that has has very little water in it. Drinking alcohol that is close to 98 percent would be the best thing to use for making tincture, it would be far more effective that way compared to using 151 proof Everclear which is close to 25% water. This process requires that the leaf be powdered as finely as possible to be efficient enough for the short shake and soak. If you shake your jar of powdered leaf and Isopropanol for a total of four times for at least five minutes (between letting the leaf settle out) with fresh washes of 99% Isopropanol each time for a total of 20 minutes or more of shaking,you can probably get somewhere around 80+% of the Salvinorin that can be easily extracted from the leaf without waiting days. 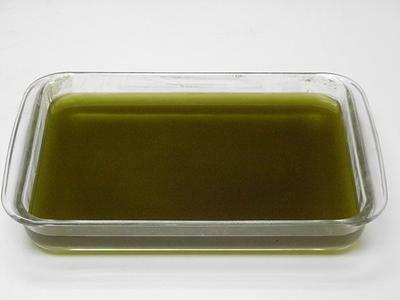 If you extend the time your leaf is soaked in solvent to three days, shake it for at least ten minutes once a day, and remove the solvent each day, this should get close to 90-95% of the Salvinorin that can be extracted out of the leaf using this method, as long as you wash the leaf through with fresh Isopropanol one more time each time you pour the solvent off. This will help wash more of the Salvinorin out of the wet powder before closing the jar for the next 24 hour soaking. The multi-day soak and shake method is very efficient and helps get most of the remaining Salvinorin out of the leaf. The last 10-20% of Salvinorin takes a long time to get out because of the ever diminishing returns for your efforts after the first two or three shake-and-washes that will remove the bulk of the Salvinorin. Save your solvent from each day's extraction in a jar and after 24 hours carefully pour it off into another collection container, leaving the sediment that falls out each day behind. Do not use 70% Isopropanol for this method because it will not efficiently extract Salvinorin. A 94% Isopropanol (or 190 proof Everclear) might work for this quick extraction method, but I have not tried using it myself. I will not use 70% Isopropanol because it has far too much water in it, slowing down the efficiency of the alcohol, which requires a much longer soaking to extract out the Salvinorin. Also, the added water with 70% IPA increases the amount of tannin extracted because it is extremely soluble in water, but not very soluble in alcohol. An extraction of powdered leaf using 151 proof alcohol -- which is close to 25% water -- might work, if you let it soak several days. You can use 190 proof Everclear drinking alcohol for extracting leaf instead of Isopropanol if you soak the leaf long enough, and it would be far better than using 151 proof Everclear. However, I have not tried 190 proof because it is illegal where I live. The 190 proof might not be suitable for this quick extraction method because it has close to 5% water in it. I have seen how inefficient 70% Isopropanol works for this quick method and how much tannin that it extracts out of the leaf. Because of this I have since sworn off alcohols that contain more than 1% water, when in fact I don't know how well 95% alcohol might work for a quick extraction. For 100 grams of leaf you might end up using two 477 ml bottles of Isopropanol for this, three at the most. To tell you the truth, you should be able to do it with only 750 ml, but using more Isopropanol than is required won't hurt, it can only help. 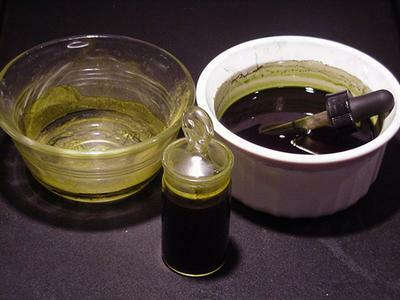 The success or failure of tincture made this way depends on how good your leaf is and how finely you powder it and whether you use 99% Isopropanol. Use enough of it, shake it long enough, and wash it through enough. If any one of these steps are not right, it won't produce as good an extract. You cannot over soak your leaf in 99% Isopropanol and can use more Isopropanol than outlined, but the more alcohol you use the longer it will take to evaporate. 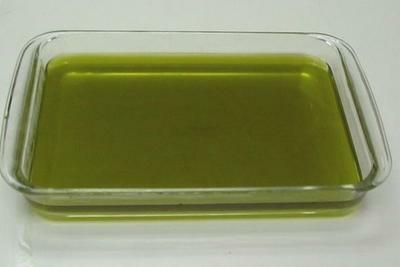 When evaporating the Isopropanol off, do it outside in a large shallow pan, a glass Pyrex baking pan is ideal for this. Set a fan next to it so that it will blow the air across the surface of the fluid in waves without blowing so hard as to cause droplets to take to the air so you don't loose your precious extract! If you don't have a fan blowing strongly across the surface of the fluid or use a large shallow pan to increase the surface area for rapid evaporation, it can take days to completely evaporate. Do not do this in a closed room or where anyone would be breathing the same air. There is a risk of fire with any flammable solvent due to sparks being produced by electrical circuits (a fan) or even static sparks walking across a rug. Be careful! Here is a photo guide on how to extraction Salvinorin using 99% Isopropanol. 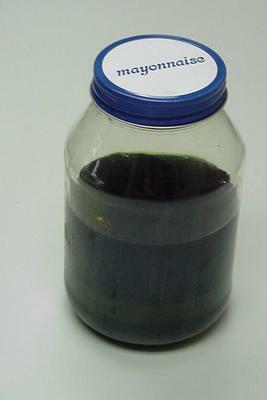 The Naphtha and Isopropanol washes shown in this guide are to remove most of the black wax so the Salvinorin can be used to make enhanced leaf. 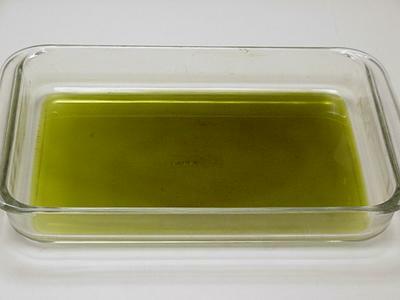 If your making tincture, only do Naphtha washes and no more. Do not continue washing with small amounts of Isopropanol as this will certainly remove too many of the waxes for an effective tincture. 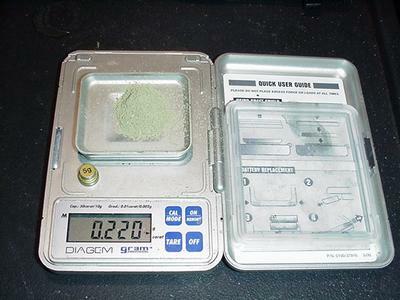 100 grams of Salvia Leaf was finely powdered to a flour-like consistency using an inexpensive high RPM coffee grinder and then soaked in room temperature 99% IPA. These little coffee grinders can be found at most large grocery stores or other general stores that carry kitchen items are great for powdering dried Salvia leaf. No matter the brand, they all look like this inside. Do not run the motor more than a minute at a time and let it cool down for a minute between grindings otherwise they get too hot and can burn out. IPA extract in flat pyrex pan: All of the IPA from the multiple extractions were combined together in one container which was left to sit still undisturbed for several hours so that the sediments would have time to settle out of the fluid. 30 minutes after pouring the extract in this pan you can see the tannin sediment that is still falling out of the fluid. 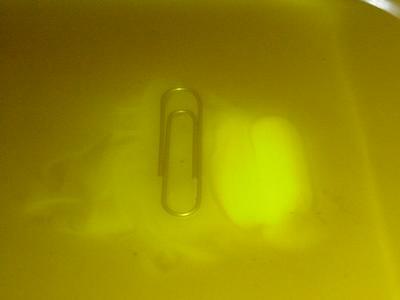 I wiped a spot clean on the bottom and placed a paper clip there to show that the fluid is still cloudy. Should be clear. An hour later I was able to clean the spot off again, the tannin sediments are still falling out. 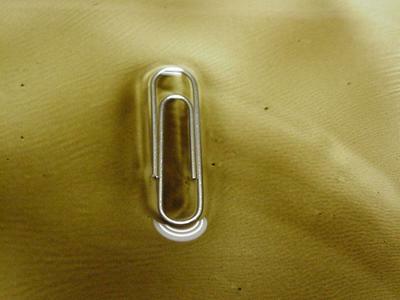 I took this photograph about 45 minutes after the last one and used my finger again to clean off the spot next to the paper clip already cleaned. 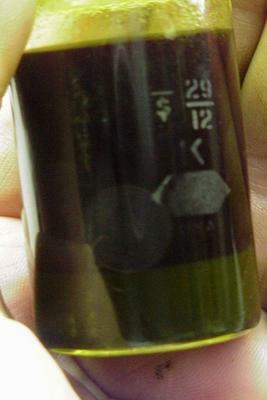 You can see that the tannin is still falling out of the liquid. I went ahead and poured the IPA into another container to remove the sediment that has fallen out to weigh it, after cleaning it out I put the IPA back for further separation. 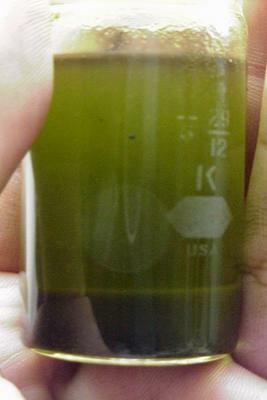 IPA after sediment removed: Compare the color difference between the IPA in this photograph after the sediment was removed to the first photo before it was removed. It is so much lighter now but sediment will continue to fall out. Twelve hours later I found more tannin sediment in the bottom. I do not know if the remaining sediment fell out in the first hour or two of those 12 hours or the whole time. It was spread out more until I sloshed the fluid around. Dried second sediment separation: I poured the IPA off one more time to remove the last of the sediment. 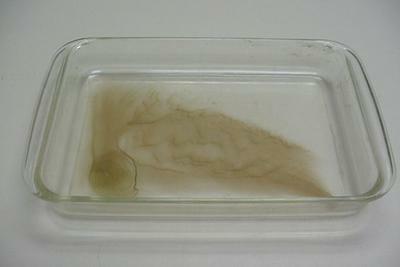 Getting darker: I cleaned the glass pan out and continued to evaporate the ISP. You can see that the fluid becomes darker as its volume is reduced. Pooled IPA extract: This is the same amount of fluid pooled up into one end of the container, one end of the pan was lifted. Ready for transfer: When the IPA evaporates down this far it thickens up quite a bit and the waxes start to come out of the fluid. 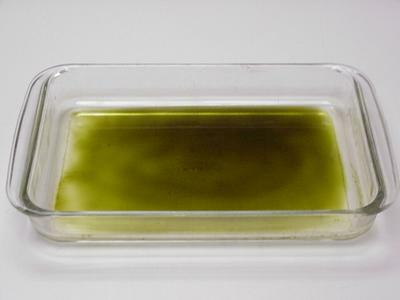 The liquid should be transferred before the wax starts to precipitate out or becomes small particles. Transfer into a small bowl: I let the IPA evaporate to about a third or less of the volume shown in the previous photo and transferred it into a small bowl for the final evaporation. 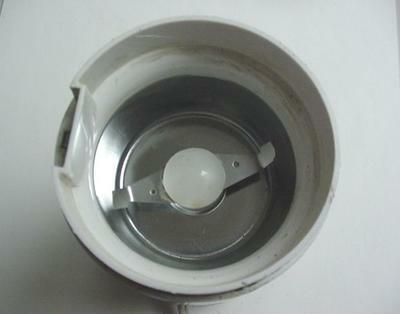 Move to 120°F oven: The bowl of IPA was fan evaporated, when the fluid level was reduced to about 30% of its original volume I moved the bowl to a oven heated to 120 degrees F. to evaporate the remaining fluid without air blowing on it so the Salvinorin would settle. Close up fan evaporated: The camera flash made the fluid look slightly red. Dry extract: The small amount of IPA was then completely evaporated out of the extract in an oven set to 120°F. There was plenty of black wax in the dried extract but not as much as I thought would come over. 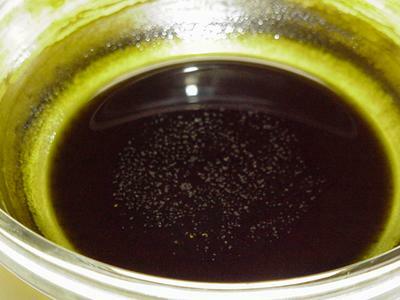 You can see that the extraction went well by the light colored extract seen in the bottom of the bowl. You can pour Naphtha into the bowl to make it easier to scrape out and then transfer it all into a small vial or jar to wash out waxes. 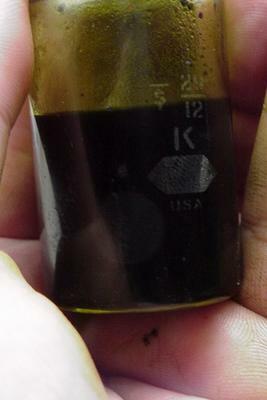 First naphtha wash: Use a large enough container so that the dried extract won't take up more than one third the volume. Thoroughly mix in the Naphtha and set aside for 30 minutes then eye dropper off a third of the fluid from the top taking care not to dip too deep. Second naphtha wash: After removing a third of the fluid from the first wash and adding more Naphtha for a second wash wait another 30 minutes for the particles to settle in the bottom again before removing Naphtha from the top using an eye dropper. Third naphtha wash: By the second or third wash you should be able to see the crude Salvinorin in the bottom of your container. Sixth naphtha wash: The Salvinorin had settled more than in the previous photograph and looks darker than it would otherwise, that and the lighting was not as good in this photo. Seventh naphtha wash: At this point you do not need to clean the extract any further. Cleaning it further with IPA will reduce the yield. 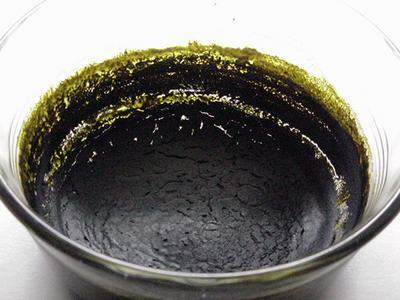 The extract is already quite pure enough and very good for enhancing leaf, making tincure or a chew of some kind. It is very potent. The bowl I dried the concentrated IPA extract in, the vial I use to wash waxes out of the crude extract and the green Naptha from the seven washes. This is all of the Naphtha used in the seven washes, almost eight ounces. First IPA wash: Be sure to pour out the Naphtha before adding IPA. Each time you clean with IPA you loose some of your Salvinorin. 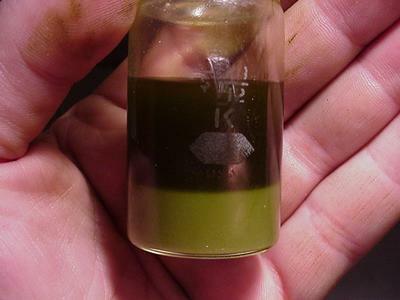 You do not need to clean the extract with IPA, it is pure enough as it is for making enhanced leaf etc. (Extract had settled 1 hour). Second IPA wash: I poured out the dark IPA and added clean IPA to remove more of the wax. The vial was shaken for thirty seconds and set down for five minutes before I took this picture and the fine Salvinorin particles are still settling out to the bottom. The third IPA wash is still settling out. I am going to dry the extract and stop loosing Salvinorin from each wash. Dried extract: stopped washing the Salvinorin and dried it on a Teflon cookie sheet in an oven set to 120 degrees F. You can see that the choloropylls dried on top, as always. Although the Salvinorin has a green tint to it, it is very concentrated and would not take much more cleaning to turn it completely white. I am estimating that I was able to get 75%+ of the Salvinorin out of the leaf in 20 minutes. 60 would be better. 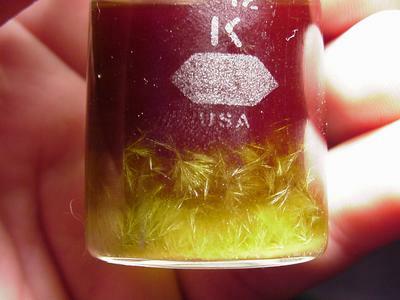 Crystals grown from this extract when dissolving all of the powder in about 25 ml of 135-140 degree F. 151 proof alcohol. I reheated the Salvinorin-saturated alcohol in this vial with a microwave oven to almost boiling, three times, letting the solution cool to room temperature each time. After the third heating and cooling cycle these large crystals formed. I reheated and dissolved the crystals four times trying to grow better crystals. The forth and subsequent reheatings and dissolving of the crystals did not produce better formations and only caused further losses of Salvinorin. 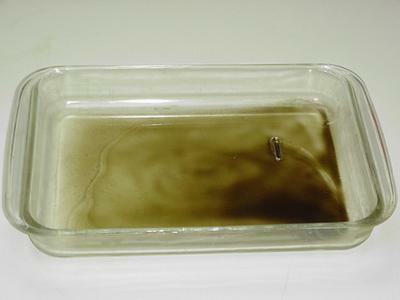 Although I used a microwave oven to heat this solution, using hot water would be far better due to more even heating. Also, there is some danger of vapors being ignited in a microwave oven or the bursting of your glass container if pressure is unable to vent. Keep the solvent in the dark while waiting for sediments to fall out. Light can destroy Salvinorin. Warning: Do not attempt to dose with the refined extract or powder, it is far too potent. Just a few tenths of a milligram is too strong for some people. Salvinorin is a potent intoxicant which can cause reduction to body motor control from minutes to an hour or more after use. There is much that we do not understand regarding Salvinorin and its effects. I never recommend that anyone use this substance, that decision rests with each person: do your own research. This extraction document is not intended to be an endorsement for the use of refined Salvinorin as a drug. v1.0 - Dec 2003 - Author - Original version submitted to Erowid. v1.1 - Mar 2004 - Erowid - Original version edited by Erowid and published on Erowid.org.